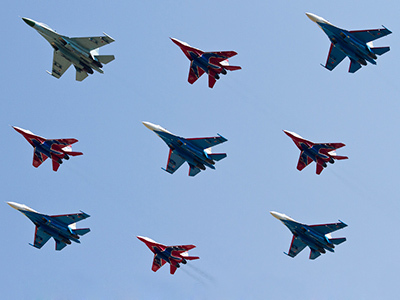 Billions of dollars’ worth of contracts are likely to be inked by the close of the MAKS air show now entering its second day in Moscow Region. ­Russia's state-run United Aircraft Corporation expects to sell its brand-new MC-21 passenger jets during the current crowd-puller event. Touted as an airliner of the 21st century, the MC-21 is carrying Russia’s hopes of breaking through the Boeing and Airbus duopoly. There is a lot riding on the fate of the MC-21, an airliner said to be kind to the planet and cheaper to run. 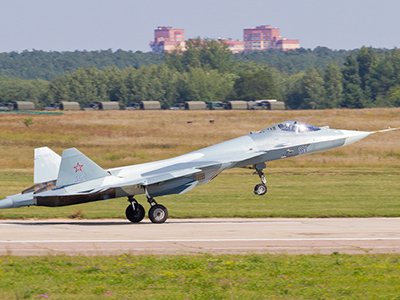 It represents the efforts of a Russian aircraft industry that has so far failed to break into international markets, and it will have to be as modern as it says if it is to survive the competition. As a short- to mid-range passenger jet, it will be going up against the likes of Boeing’s 737 and Airbus’ A320, both well-established planes. Its makers are fully aware of the challenge ahead. “We understand that we are not first on this market and the market niche is very hard, but we hope we will have our own niche in this market and we will succeed,” Irkut Corporation’s Dmitry Efanov says. They are confident the MC-21 will be a technical match for its competitors. With a third of it built from light composite materials and a totally new airframe, it will save on that crucial substance, fuel. “Our plane has advantages over the present Airbus and Boeing models. It has about 15 per cent lower operating cost,” President of Irkut Corporation Aleksey Fyodorov says. The MC-21 follows in the slipstream of the earlier Sukhoi superjet as one of the first Russian airliners built in years. 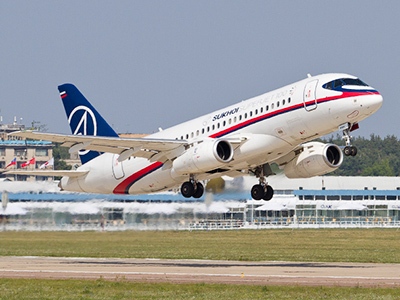 Efforts are being lead by the United Aircraft Corporation, which is trying to make Russian plane companies work together, like Airbus has done in Europe. “We used the engineering capacity of Sukhoi company, Sukhoi civil aircraft, Tupolev company and Ilyushin,” Fyodorov says. 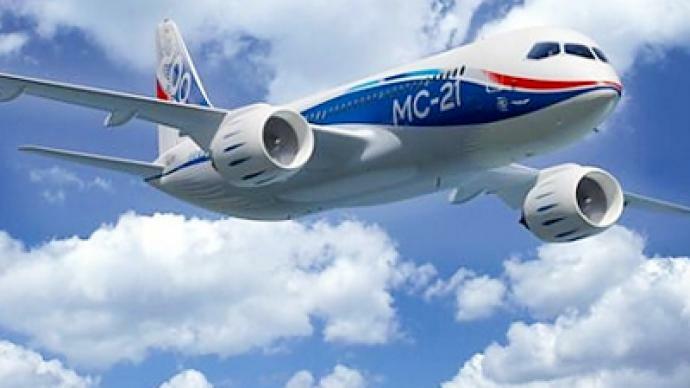 It is early days yet, but with a wealth of aeronautical engineering experience from Soviet times, hopes are high that the MC-21 will put a new generation of Russian airliners up in the clouds.